i.TV 2.0 – The Premier TV & Movie iPhone App Gets Better! After weeks in the App Store review process, i.TV, the premier iPhone app for all things TV and Movie-related, has just been updated to version 2.0. 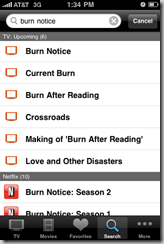 This is the eighth release and is a major upgrade, and kicks what was an excellent app up even another notch. Immediately on launch, you’ll notice the significant investment they’ve made to improve the app in response to user feedback. This new version includes a completely redesigned and intuitive interface, support for push notifications, iTunes and Netflix integration, and for all you TiVo users out there you can now control your TiVo from within the app! 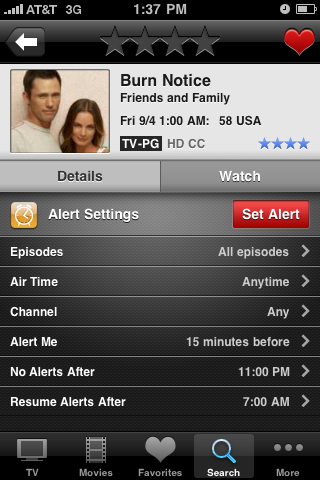 The app is also noticeably faster than its predecessor, while also incorporating lots of new features. I ‘ve been using i.TV for a while on my iPhone to get movie show times and look up what TV shows are on tonight and watch trailers. 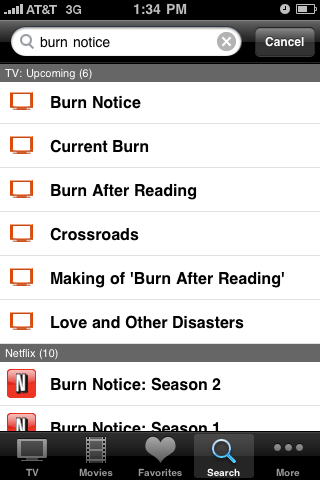 Now with version 2.0, I can tap a button to add a movie to my Netflix queue, add a push notification to remind me when the show I want to watch is about to start, and if I still had my TiVo I could program it to record right from my iPhone. 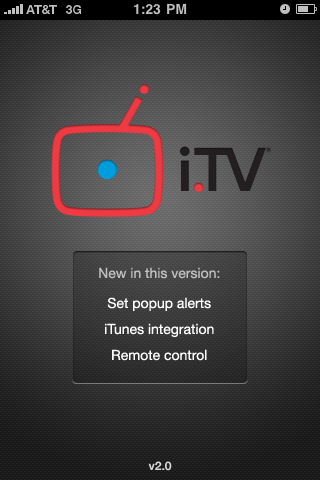 The app integrates with an i.TV account on their servers, and is also how they link to your other services. 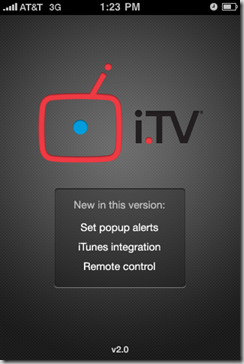 Here are some screen shots from i.TV 2.0. If you haven ‘t checked this app out, I suggest you do so. It won ‘t cost you a penny as it ‘s free “ though there are in-app ads as you can see from the screenshots, but they are minimal and not too intrusive. Click on the image to view full size. 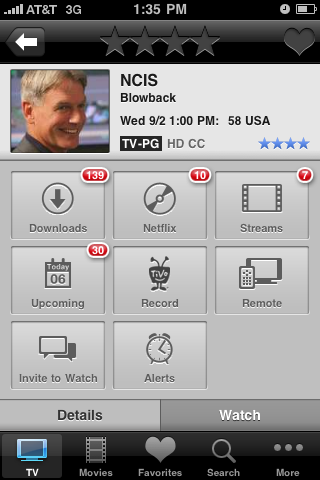 i.TV is available on the iTunes App Store here.